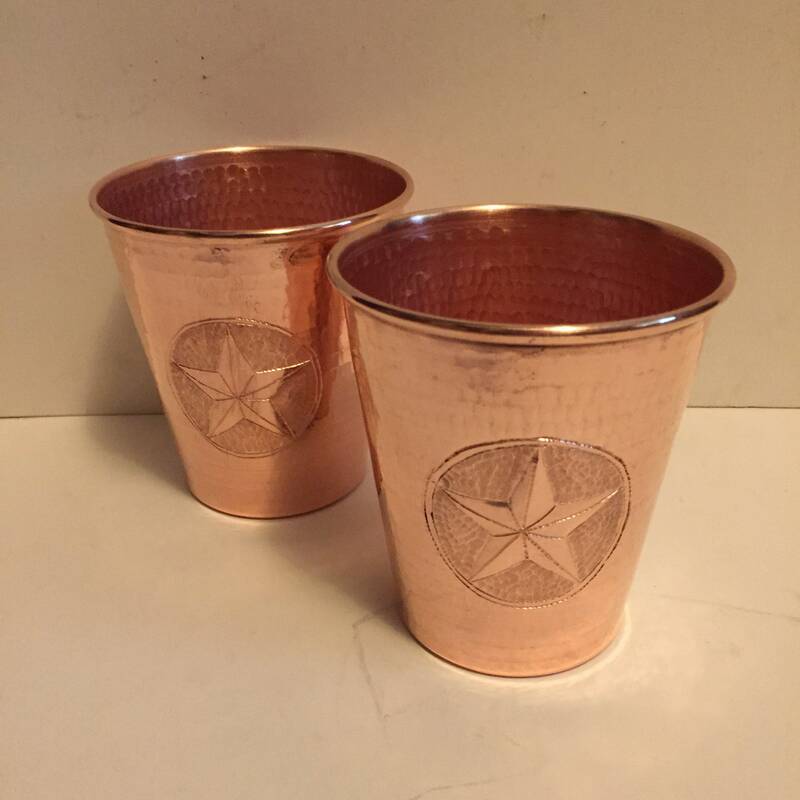 These pure copper 18oz tumblers are handcrafted and hand engraved. 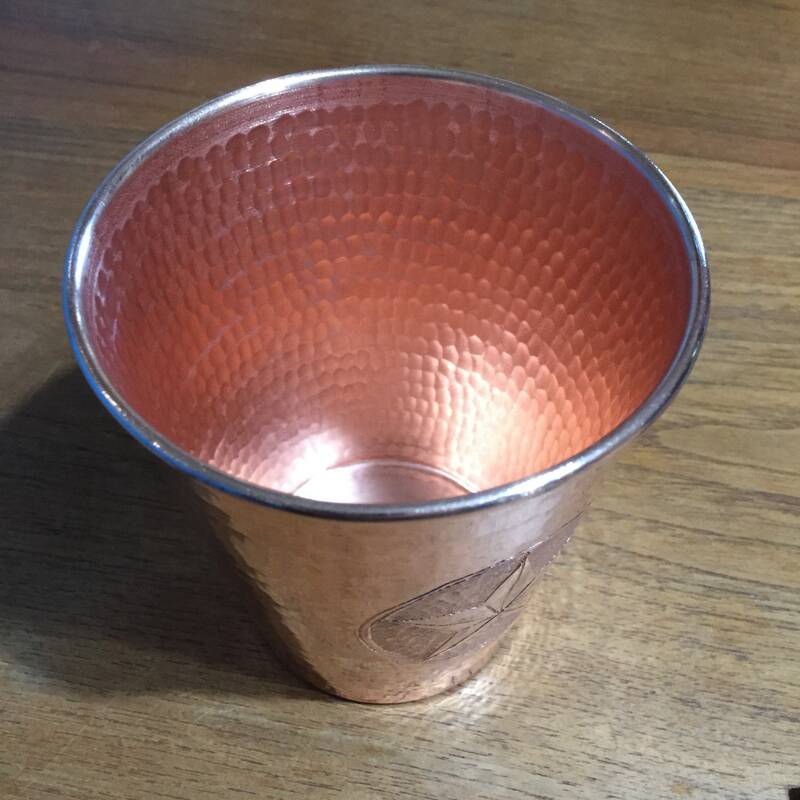 Great for water or your favorite cocktail. 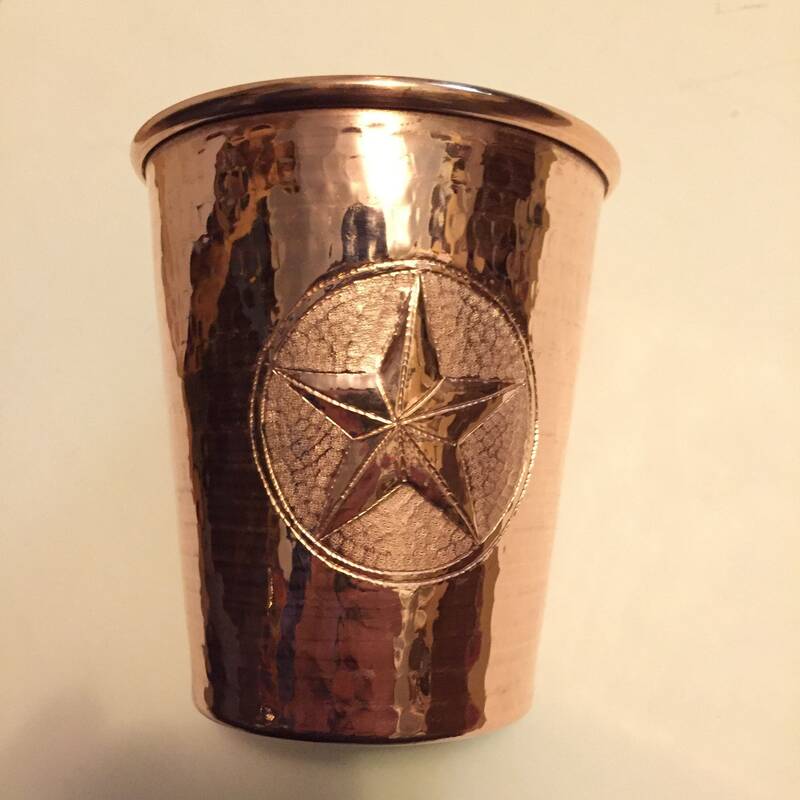 Copper cups will last a lifetime and keep your drinks colder longer and tasting great. 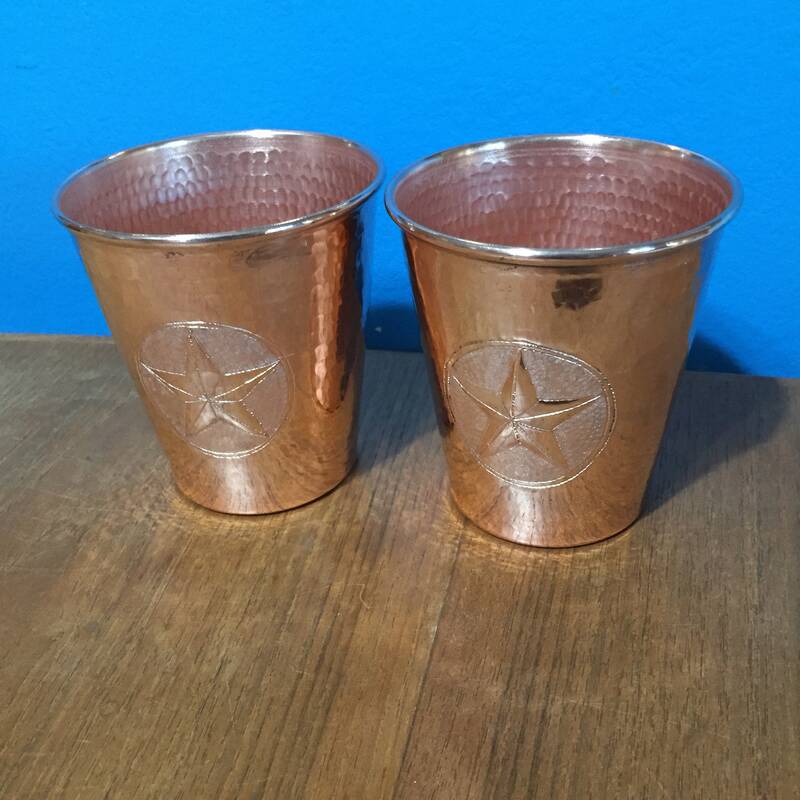 These are pure copper, not lined with tin. 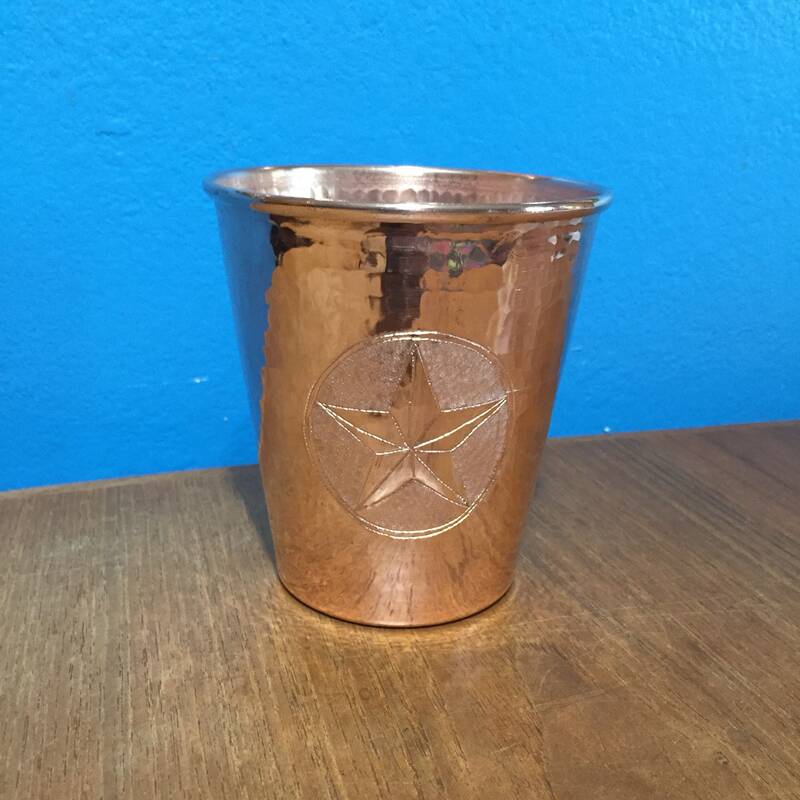 These mugs are a heavier gauge and thicker than most moscow mule mugs on the market these days. 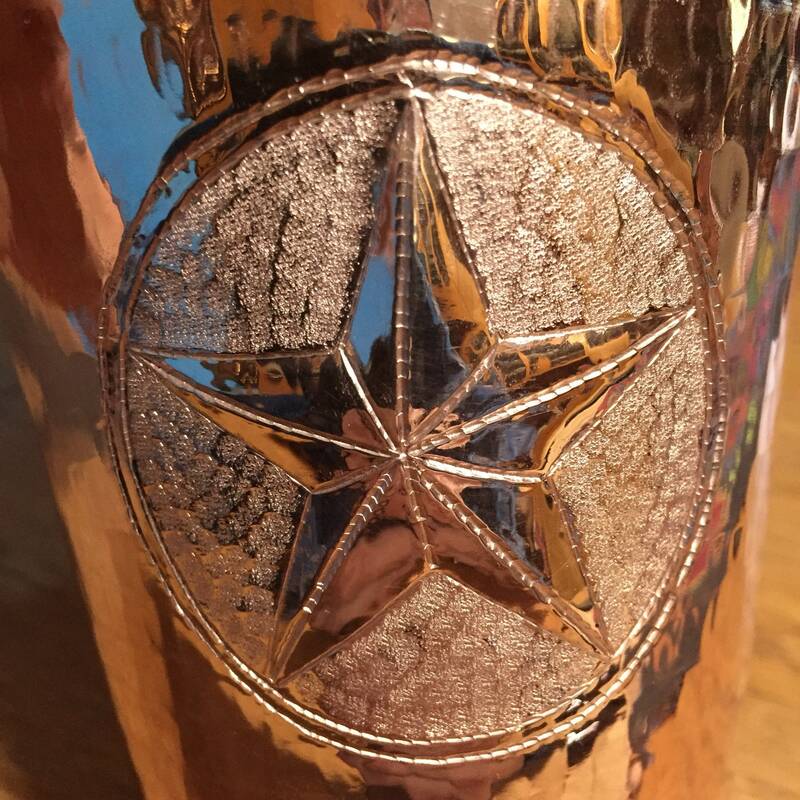 18oz Moscow Mule Copper Mug, 100% copper, hammered, handcrafted with Texas Star logo (hand engraved). 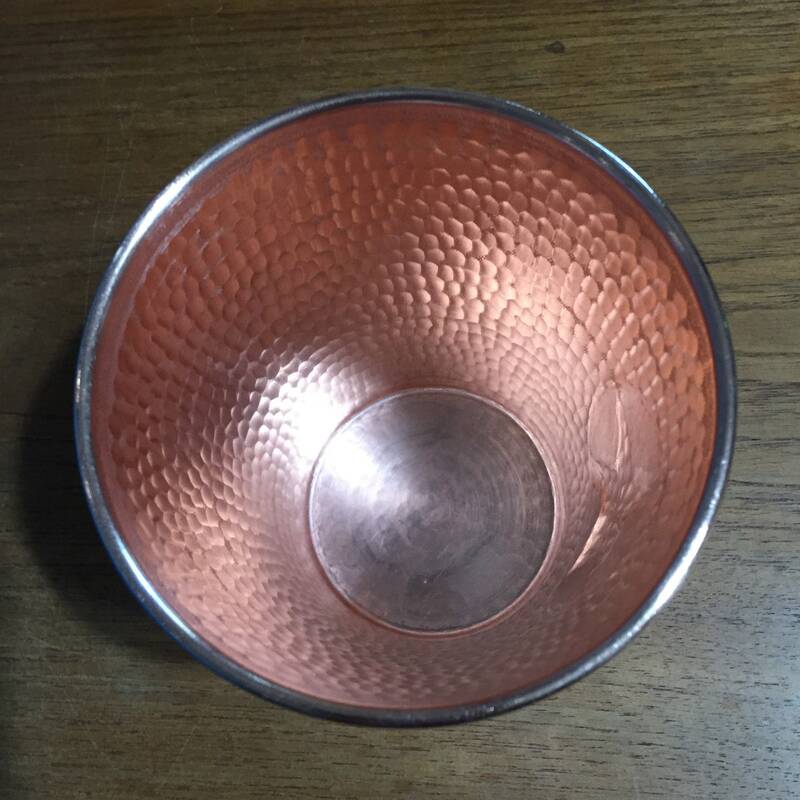 4 inches diameter x 4 1/4 inches tall.. 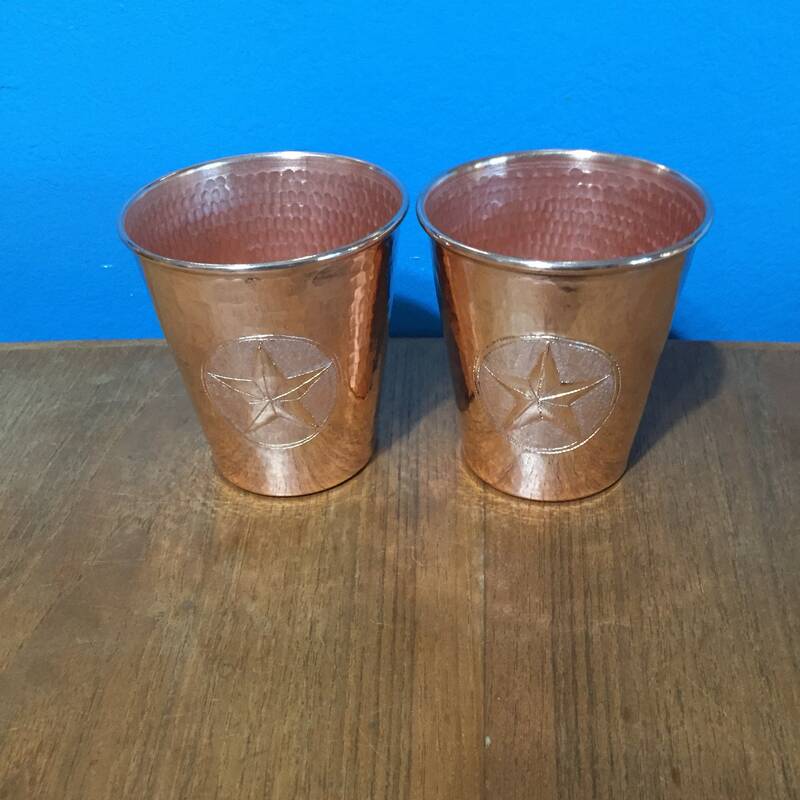 These tumblers are a tapered design. 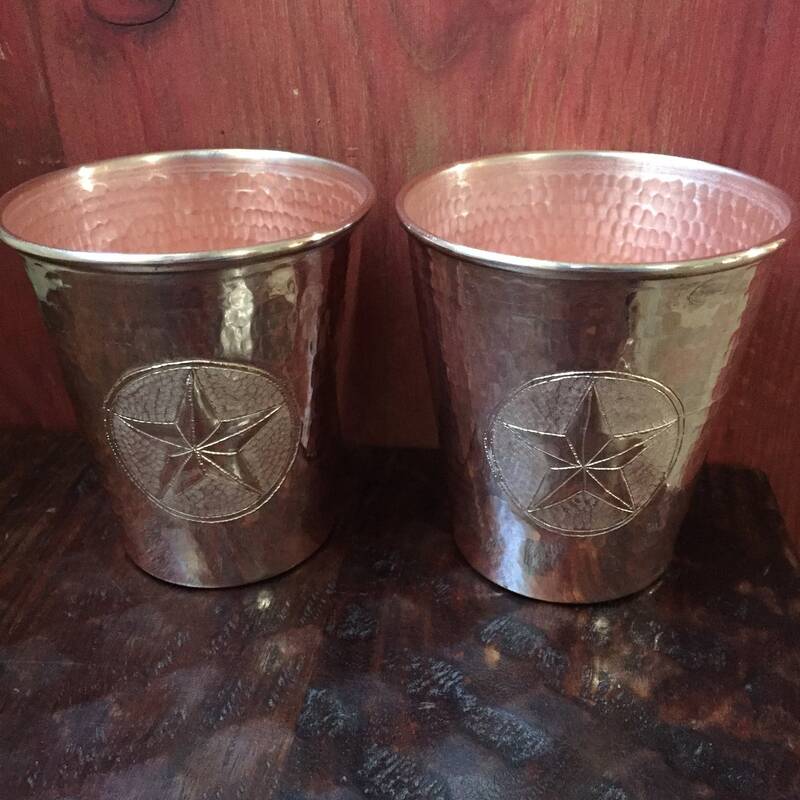 This listing is for two tumblers. Since these are all handmade, slight variations/imperfections may exist. 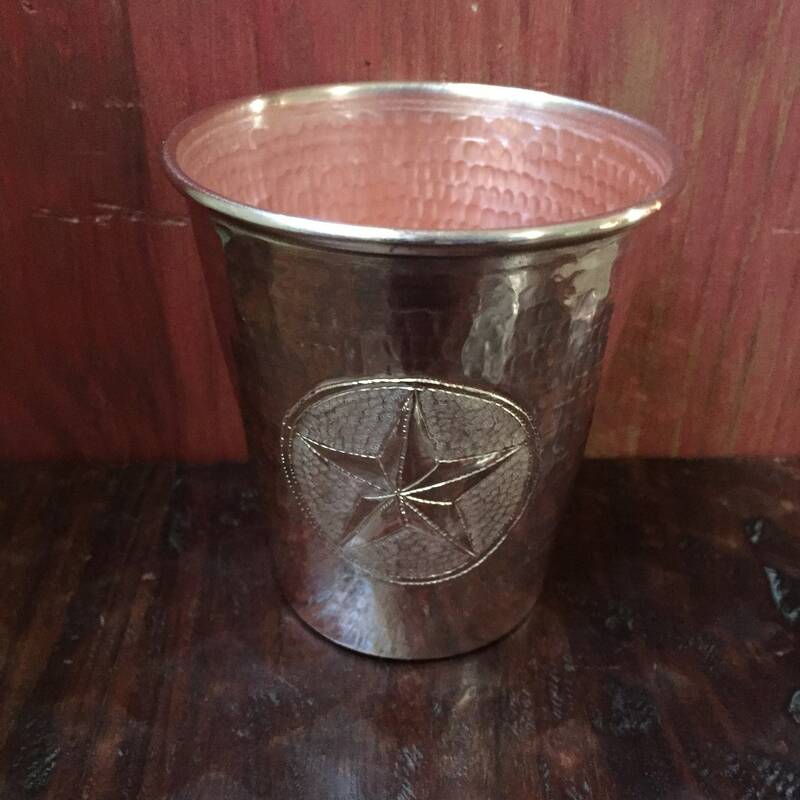 Not for microwave use.